(Oromedia) Mr. Yonatan Dhibbissa the founder and Central committee of OPDO and the Ministry of Justice for the Oromia region defected on 19 February 2001. The founder and Central committee of OPDO and the Ministry of Justice for the Oromia region Yonatan Dhibbissa, has announced that he is defecting because the government had “brought untold miseries and sufferings” on the largest ethnic group – the Oromo people. Mr Yonatan stats that his main cause to defect is the human right violations carried out against the Oromo people. The Ethiopian Government is responsible for the killing of tens of thousands of students and other critics over the past 15 years, one of the country’s most top officials, has said. According to sources, Mr Yonatan, who is in his 40s, had stopped in Germany, on transit on his way to attend a parliamentary forum of MPs in the Mauritania. Mr Yonatan, who is an Oromo himself, said the Oromo people were not being democratically represented and accused the Prime Minister’s Office of having direct rule over the Oromo Peoples Democratic Organisation (OPDO) – the party which represents the Oromo population in coalition government. He accuses Mr Meles’s Tigray People’s Liberation Front (TPLF), the most influential component of the Ethiopian People’s Revolutionary Democratic Front (EPRDF) government, for being the dominant force in the persecution of the Oromo people, who make up more 30% of Ethiopia’s 63 million population. He said that Oromo resources were being mobilised and looted in order to develop Tigray, the region where the prime minister is from. 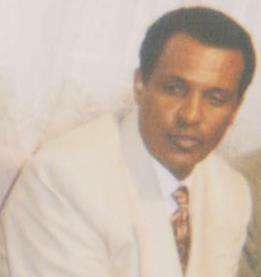 MR Yonatan, who had been the Ministry of Justice for the Oromia region, and a key figure holding a seat in the central committee of government, said that he had tried to bring about change, but was accused of being a sympathiser for the exiled Oromo Liberation Front (OLF), a separatist movement which commands guerrillas, who organise armed attacks on government forces in some parts of Ethiopia. He said that efforts to bring change “were not only met with resistance, but also put me in a black list as a sympathiser of the OLF”. And he announced his intention to “continue my struggle for the just cause of the Oromo people by joining the OLF”. There has been no comment from the authorities in Addis Ababa.